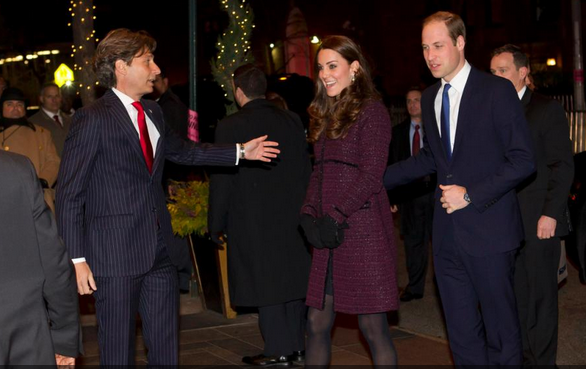 Top Indian fashion and lifestyle blog: Prince William, Kate Middleton arrive at New York's Carlyle Hotel. 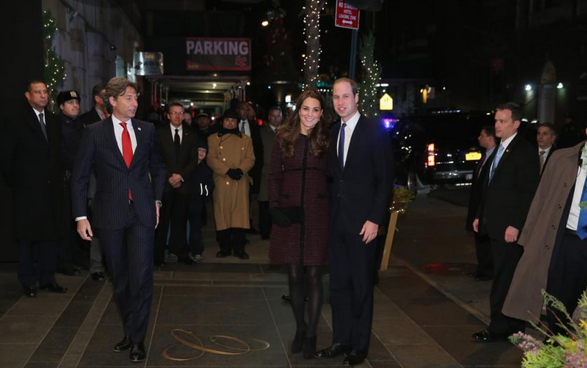 Prince William, Kate Middleton arrive at New York's Carlyle Hotel. 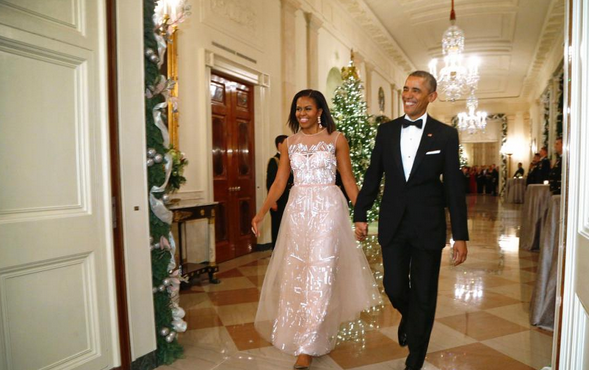 The President and the First Lady looked fabulous at reception for the Kennedy Centre Honor at the White House on Sunday. They threw down ultimate VIP gauntlet. The Prince and his wife are on their three day visit. Kate is five month pregnant, with her second child. 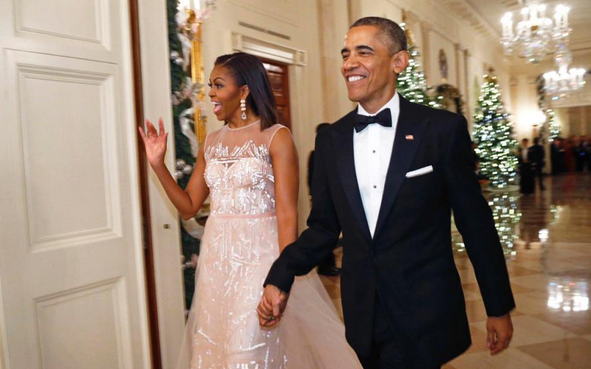 Michelle wore a pale pink sequin gown by California based designer Monique Lhuillier and The President wore black tuxedo. The Duchess wore a maroon Seraphine coat by European designer Cecile Reinaud. Prince William wore a dark suit. Carlyle, the luxury hotel where the royal couple are staying, was much preferred by Princess Diana. The Duchess was wearing a coat by Seraphine Maternity, a brand she wore several times in her previous pregnancy. Featuring a boucle textured print and high scoop neckline, this piece was created exclusively for the Duchess by Séraphine. The ‘Marina’ coat is a bespoke piece. It is crafted from a rich mulberry or crimson tweed (my color names, not Seraphine’s), the fabric appears to be shot through with a tiny bit or metallic or lame thread, causing it to sparkle just a tiny bit. The coat is above the knee in length, with an empire waist, pockets and black trim at the front opening, the cuffs and the neckline. Kate carried her trusty Muse clutch from Stuart Weitzman via Russell & Bromley, and wearing her Cornelia James merino jersey wool gloves with the side bow. Underneath the coat Kate wore a black dress that appeared to be made of a light material, perhaps a crepe chiffon or similar weave. The Duchess was in a pair of black suede booties or shooties (I’m never sure what to call them)that we have seen her wear before, although they remain unidentified. Her jewelry included her standard rings and the deco-style diamond earrings we have seen previously, better seen in these head shots.